It's been a while since I've done one of those sketches where I make portions so dark that I only get 3 or 4 out of a single pen. 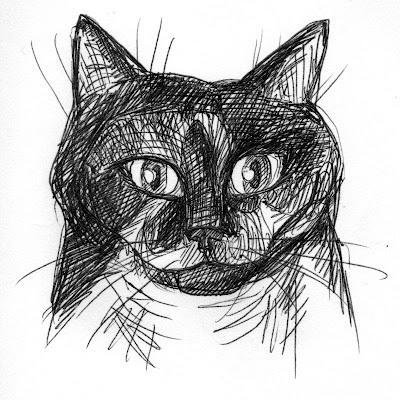 Today's drawing is one such sketch, of someone else's cat. A cat ran into my basement the other day and I couldn't find it to let it out so I left the door open all night. Now maybe there's a raccoon in there.